Mao was born in Shaoshan village, Hunan, China, on December 26, 1893. His father, Mao Yichang, was a farmer and a very strict disciplinarian. He and Tse-tung barely tolerated each other. Yichang was also very hard on Mao's two brothers and his adopted sister. As a boy, Tse-tung attended Shaoshan schools where the values of Confucianism were taught. At this time, Tse-tung practiced Buddhism. At the age of 13, Yichang forced him to participate in an arrange marriage to a girl 4 years older. The families saw the marriage as a business deal. They hoped that the marriage would forever bind their two large land owning families. However, Tse-tung refused to recognize the marriage and the girl was humiliated. Just a short time later he returned to his families farm where he worked for many years. Mao dropped out of several programs before graduating from the First Normal School in Changsa in 1918. Soon after graduating he went to work in the library at Peking University. While he lived in Changsa, Mao became active in the promotion of Marxism. He also was the Hunan province representative when the Chinese Communist Party was founded in Shanghai in 1921. Not long after, Mao led a series of peasant strikes. Consequently, when arrest warrants were issued in his name he was forced to flee from Hunan to Canton. However, he would not stay away very long. Just four years later he was back in Hunan organizing peasant associations once again. During the same year the Chinese President Sun Yat-sen died and his successor was Chiang Kai-shek. Chiang Kai-shek was chairman of the Kuomintang (KMT). At the time the Kuomintang and the Chinese Communist Party were the two most powerful parties in China and they were deeply at odds with each other. One of the first things Chiang Kai-shek decided to do was to purge the country of Communists. However, Mao wasn't listening. Once again he led another peasant uprising in Hunan, only this time his forces were crushed. As a result, Mao and what was left of his forces were forced to hide out in the Ching-kang Mountains until reinforcements arrived. There in the Ching-knag Mountains he assembled a new army called the Fourth Red Army. However, Chiang Kai-shek would assemble a force of 1 million men. At the time Mao's Red Army only had 100,000 men. The enormous size of the opposing army forced Mao to retreat. During the retreat, which is known as the Long March, Mao emerged as the leader of the Communist Party. By the time Mao and his men reached their final destination at Yenan, only 7,000 men were alive. 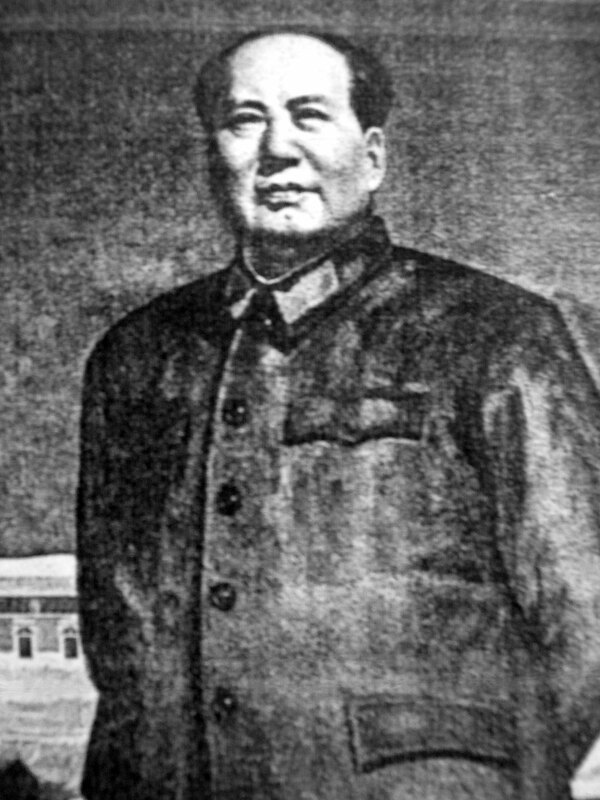 Mao was elected chairman of the Central Committee and Political Bureau in 1943. In 1945, the Chinese government adopted a new preamble to its constitution that declared the importance of Mao's thoughts in the guiding of the Chinese Communist Party. By the end of World War II, party membership was close to 2 million. About 900.000 of the party members were in the armed forces. In 1946, Civil War broke out in China between the Chinese Communist Party and the KMT, or Kuomintang. The war ended with the establishment of the People's Republic of China. Mao was now firmly in charge and he immediately started eliminating his opposition. Mao began by confiscating land all of their land and then killing an estimated 2 million people. Food shortages were constant under Mao's leadership. In 1951, Mao instituted his Great Leap Forward Program, which established communes that contained furnaces for the production of pig iron. The project failed miserably when the Soviets withdrew their support. As a result, very little was produced agriculturally and as many as 20 million people died of starvation.